Lost in the unfolding drama of whether Race World Offshore or Super Boat International will be awarded the next five-year contract for producing world championships in Key West, Fla.—the city’s Request For Proposal was released earlier this week—is the unquestionable value of the Florida Powerboat Club’s concurrent poker run to the famous destination. Do the simple math and the FPC’s impact becomes undeniable. In addition to some of the finest high-performance catamarans and V-bottoms in the world, the annual Florida Powerboat Club Key West Poker Run brings significant revenue to the city each November. Photos by Pete Boden/Shoot 2 Thrill Pix. Last year, the FPC event attracted 214 boats and more than 1,000 free-spending participants. By way of comparison and contrast, The 2019 Super Boat International Offshore attracted 39 boats. If each team brought 10 crew members—a generous estimate—that would translate to 390 participants in the SBI event. With the week of the offshore races and poker run being the biggest event-based revenue generator of the year for Key West according to multiple sources, it’s reasonable to conclude on rough numbers alone the poker run has a far greater economic impact than the races. But that’s not to say one can exist without the other, despite that the FPC’s Stu Jones and SBI’s John Carbonell never have worked and played well together. Can you imagine heading to Key West for the races and not having the poker run boats and poker run village to ogle at the Conch Republic restaurant? And what would the focal point be for the many daylong gatherings and parties for poker runners on Wednesday, Friday and Sunday without the racing, even if they didn’t catch a moment of the action? 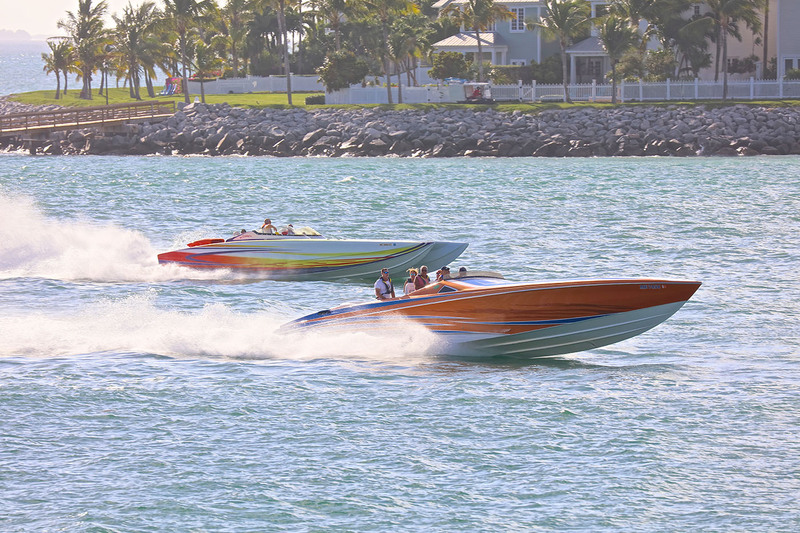 Sure, the poker run and offshore racing events in Key West probably could exist without one another. Just as sure, both would be diminished if one or the other disappeared. Regardless of whether RWO or SBI snags the Key West race promoter contract, Jones said his group will be back in November for his club’s signature event. And while it hasn’t happened in the past, he said he’d like to work more closely with the bid-winning organization. 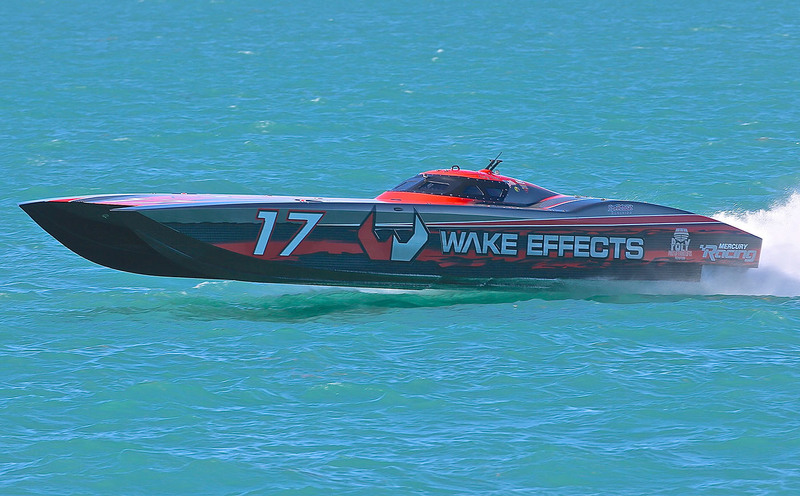 On Wednesday, Friday and Sunday, the Key West powerboat races give poker-runners a focal point for gatherings and celebrations. “We make sure we schedule nothing for the club during the race days other than viewing parties,” he said. “I have always liked the idea of partnering with the race-producing organization to make it the kind of win-win for everybody that should come with sharing the same venue, though that really hasn’t happened in the past. But I still think there’s a lot of potential synergy. On Friday night, for example, they have the raceboat parade and display on Duval Street. Why not get a few big Deep Impact or MTI or Nor-Tech or whatever poker-run boats into the mix? We would love to be involved with that. There are a lot things we can do to help each other succeed.